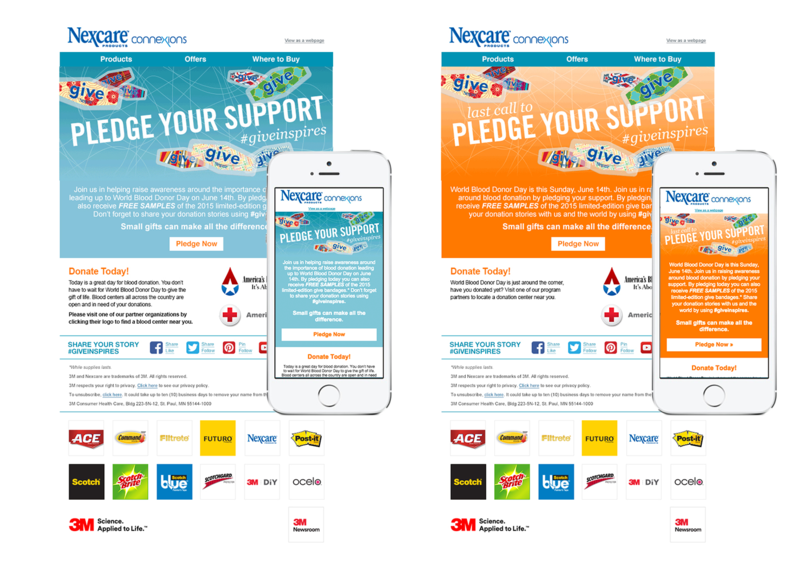 Nexcare™ Brand give 2015 Campaign Inspired by the dedication of blood donors from around the world they partnered with America’s Blood Centers and the American Red Cross to make blood donation a global priority. 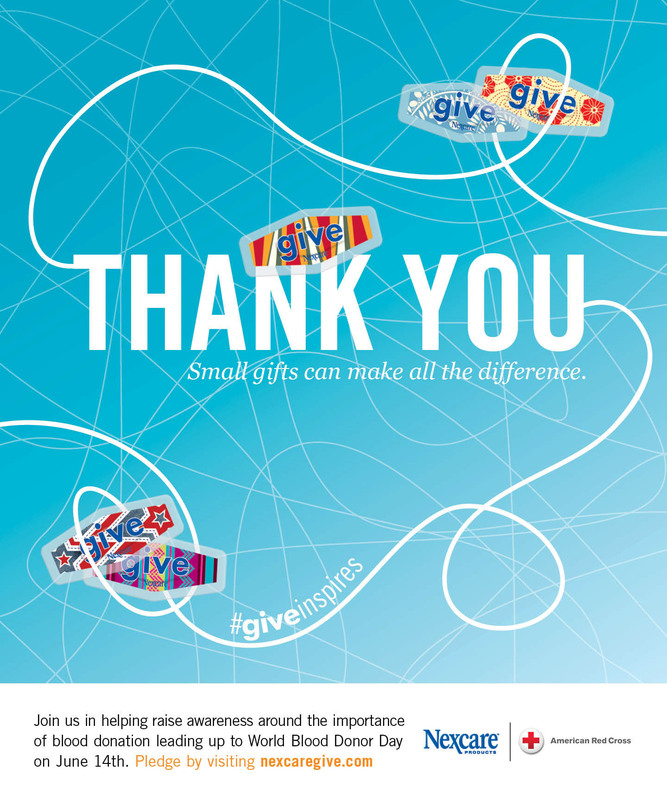 This campaign includes custom bandage designs that lead the rest of the campaign in it's look and feel. 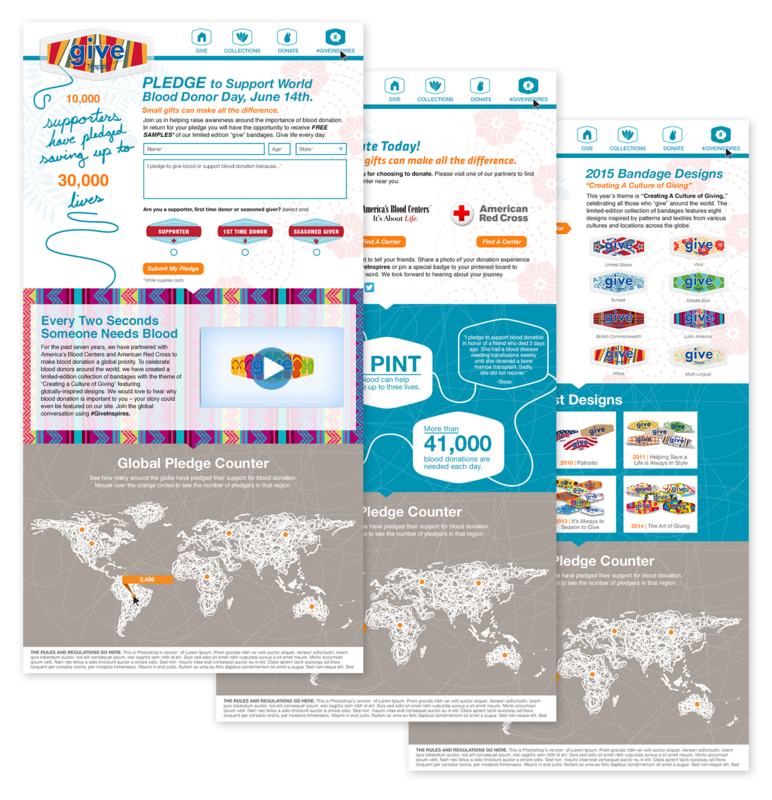 This year with the theme "Creating a Culture of Giving" eight bandage designs were created in collaboration with one other designer to represent different coutries and regions across the globe. 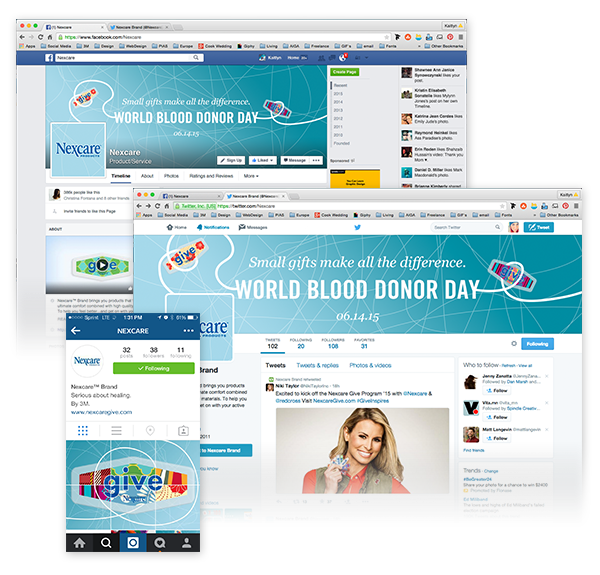 This campaign has a heavy digital activiation in which we use social platforms such as Facebook, Instagram and Twitter to start the conversation about blood donation using #giveinspires.